The Green Deal is designed to help householders and businesses increase the energy efficiency of properties and therefore reduce greenhouse gas emissions across Great Britain. 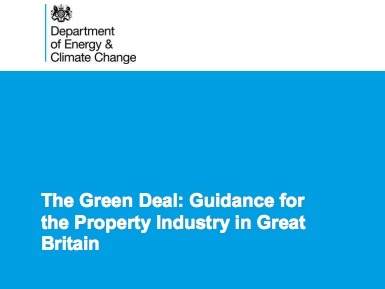 This guidance covers aspects of the Green Deal that will be of interest to the property industry, and it applies to both domestic and non-domestic properties. It is accompanied with some illustrations on how the Green Deal interacts with various property transactions. This entry was posted in Green Deal and tagged DECC, Green Deal, greendeal, more than just a green deal, Property, Property Industry, sustainability on April 10, 2013 by martin brown. Can social media power the Green Deal (and Sustainability)? Earlier this year, through Be2camp, the built environment social media advocacy, we published a guide on using social media to improve understanding and application of Green Deal issues. Stephen Kennett : You’ve launched the ‘Social media framework for the Green Deal’, can you explain what it’s about? Martin Brown: Of course – It’s a wiki guide to using social media to improve understanding and application of Green Deal issues. It was initially compiled by a group of social media and sustainability advocates all working in the Green Deal space, and brought together through the Be2camp movement. The purpose of the guide is to explain how social media can be used to understand, learn, and share Green Deal learning. The aim is to look at four key themes: Green Deal workflow – in other words, how the Green Deal will work in practice; Green Deal delivery – installation and the skills issues; Green Deal business issues; and visibility – promoting best practice and good news. This entry was posted in comment, Green Deal, social media and tagged 2degreesnetwork, be2camp, Green Deal, social media, sustainability on November 19, 2012 by martin brown. Only two days left to our Be2Awards, 2012 Social Media awards event in London at the Building Centre, kicking off at 1.30pm. As with our 2011 awards, the event, part of Social Media London Week, will be an inspiring combination of TEDx style talks and a celebration of what is good in the world of built environment social media. Recognition will be paid to the crowd-sourced winners from 12 categories, from best use of twitter, best sustainability blog, best use of media, and many many more. The Be2Talks presentations will cover BIM, Bikes, Social Hiking, Coffee, Green Deal and more. The event will use the #be2awards hashtag and will be live streamed, live blogged and tweeted. Check out our event page for more information. Can there really be a better place to be on a wet Wednesday afternoon in London? Spaces still available here. By the way, if you havent voted yet, you have under 12 hours left – so take a look at the excellent short-listings and be inspired as how social media is being used today. And, if you are looking to make a day of social media in London – check out the Guardians Social Media for Sustainability event, taking place just up the road on the morning of the be2awards, with enough time to grab a drink and sandwiches you head over to the Building Center! Richard Saxon is an architect and urban designer. He now works as a client adviser after a career at BDP (chairman 1996-2002), the RIBA (Vice-President 2002-8) and Be, Collaborating for the Built Environment (chairman, 1999-2005). He was made a CBE in 2001 for services to architecture and construction. He is on the board of the Construction Industry Council, is currently advising BIS on the growth potential of BIM and was recently appointed the CIC’s “BIM Ambassador”. Carlton Reid (@carltonreid) has been writing about bicycles and travel for 20 years. He has written for many cycling and travel magazines and UK newspapers including The Guardian and The Independent, and is the author of several books on travel and cycling. He is executive editor of BikeBiz.com, editor of Bikehub.co.uk, Quickrelease.tv and iPayRoadTax.com. Author of the acclaimed Bike to Work Book, his latest project is Roads were not built for Cars. Carlton will present our Be2Bike Keynote on the growing application and importance of social media in the world of cycling. Liz Male (@LizMale) will talk about the rise of the RMI (repair, maintenance and improvement) sector – its new-found political, social, economic and environmental importance, and the opportunities and risks this creates for UK businesses in the built environment, including those linked to the imminent Green Deal initiative. Liz is Chairman of TrustMark, a not-for-profit organisation licensed by Government and supported by consumer protection groups which helps people find reputable local tradesmen to do work on their homes. She is also a PR consultant with specialism in sustainability in the built environment. Mark Stodgell was an early adopter of building information modelling and of social media, having used Twitter (he’s@Stodgeblog) and LinkedIn to raise the profile of Pozzoni in the BIM world. He will talk about how the technologies complement each other. Mark works at Manchester-based architects’ practice Pozzoni Architects, and started using the internet to find about orienteering in Finland. In his spare time, he is a member of Great Britain’s mountain bike orienteering team. Hear about Honest Buildings: a real estate network connecting professionals to new business opportunities and information for over 700,000 buildings across the US, and now with an office in London. 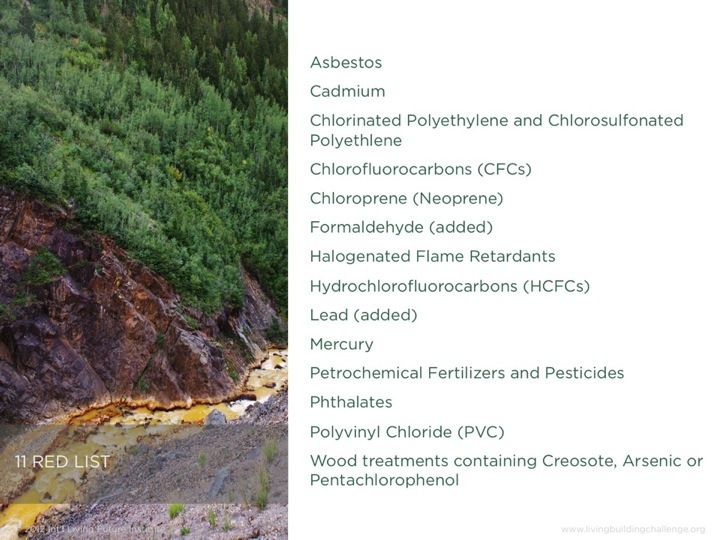 Honest Buildings was founded in 2011. Nick Katz (on Twitter, he’s @NicholasKatz), formerly at UK Green Building Council and then senior sustainability advisor for Colliers International, is associate director leading UK market development for Honest Buildings. Nick believes that, through sharing information freely and showcasing great building projects delivered the world over, the bar for building performance will be raised globally. BE2 are the social media advocates behind the Be2camp movement. Since 2008, Be2camp has been championing the use of social media Web 2.0 in the Built Environment (hence Be2). Since the first Be2camp unconference in London in October 2008, Be2camp people have organised more than 30 events focused on promoting collaboration and co-operation within a better, more sustainable built environment. Key topics have included education, building information modelling, property and real estate, facilities management, the Green Deal, marketing, and river basin management (among other things). Founded by four practitioners (two in the UK, one in Australia and one in the US), the Be2camp online community is now nearly 700 strong with members around the world. This entry was posted in comment and tagged be2awards, be2camp, be2talks, Bikes, BIM, Coffee, cycling, Green Deal, London Social Media Week, RMI., social media on September 24, 2012 by martin brown.